Meet Val Groth, owner of the coaching business Inspiration with Val and Featured Business Owner at SCORE Chicago this week. 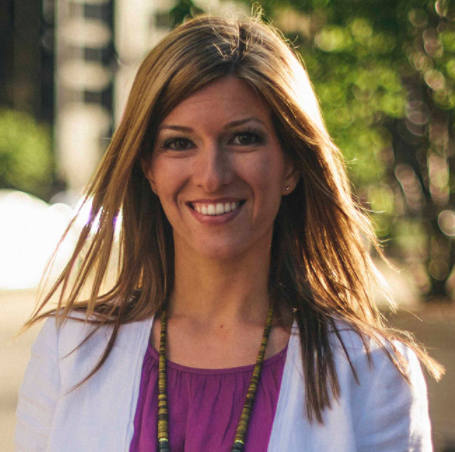 Learn how she started, and what tips she has for your success. I will work with you to create the life you have always wanted by dropping the dead weight job/relationship/lifestyle that is holding you back so that you can lead an energized, enriched, and impassioned life filled with personal and professional fulfillment. First of all, I have always had a strong entrepreneurial drive! I truly believe that there has been an aspiring entrepreneur inside me all along, and that part of me is just now being allowed to flourish and thrive. I initially went into the field of social work because I wanted to help others and to make a difference in the world. While I loved my job as an inner-city school social worker, after a few years I realized that I craved an opportunity to have a greater impact on a larger amount of people. Starting my life coaching practice has given me the unique opportunity to dramatically impact the lives of my clients in ways that I never could have imagined. While most of my clients are young professionals between the ages of 20-45, I have worked with clients in many different stages of their life. All of them have one thing in common: they are all highly motivated and driven individuals, but for some reason or another they feel as if they have strayed from their path. They may be in a dead end job that they are not passionate about, or perhaps they are staying in a relationship that is no longer working. Sometimes they have SO many goals and ambitions that they are almost paralyzed from all of the options available to them, and they utilize the services of a life coach to help them focus in on their true priorities. I love taking a strengths-based approach with my clients, and with my support and encouragement, they are able to push through their comfort zone in order to accomplish a more successful and fulfilling life. I’ve also started an Inspiration with Val podcast. It’s free to download so check it out. 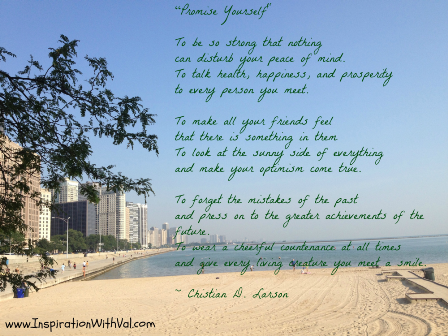 See a sample of her inspirational post, Are You Surrounding Yourself with The Right People? My SCORE mentor is Peg Corwin, and she has been instrumental in this process! Peg knows a great deal about many aspects of business, but her true area of expertise is in regards to internet business marketing and social media. I have learned so much from Peg, and I look forward to continuing to work with her more in the future! My first piece of advice would be to take that first risk, and to get started!!! Almost everyone has a big dream…. but what really counts is when you take actionable steps toward making that dream a reality. I would much rather take a risk and potentially fail or make a mistake, then to avoid taking action and then to wonder what could have been. If you have always dreamed of becoming an entrepreneur, there is no better time than now! If you are anxious about the process, you are in luck – that’s what SCORE Chicago is here for. In addition to SCORE, there are so many amazing (and free!) resources available these days. Throughout my journey I gleaned so much information from listening to entrepreneur podcasts – two of my favorites are “Entrepreneur on Fire“, and “Smart Passive Income“. These podcasts not only have provided me with a wealth of free knowledge about various entrepreneurial topics, but they are so motivational to listen to. After 6 years, I am still coaching and speaking, plus I wrote a book recently (title not finalized) which I will most likely self publish. I hope to have it done by the end of the summer, at the latest! Ryan Banks Academy takes up the bulk of my time now. It will be an independent and coeducational college-preparatory, residential, tuition-free middle and high school that will prepare motivated students from Chicago neighborhoods to graduate from college, enter into meaningful careers, and be the catalyst to bring positive change into their communities. We are in the fundraising stage and welcome donations to support this effort.